The Expedition to Namibia (September 1st-16th) is SOLD OUT now! One of the darkest skies in the planet! To achieve it, we’ll use the planning power of PhotoPills and the expert knowledge of our native guide to always be at the right place at the right time. We’ll do it in Namibia! All you have to do is to book your spot before Sunday February 25th. And when you’re ready, click here to book your spot. Warning: This is not a honeymoon. In Africa, we’ll sleep under the stars! We’re recruiting 12 brave PhotoPillers (PhotoPills and photography freaks) that will join us on a 16-day expedition to photograph the Milky Way along the Namibia treasures. It’s a non-stop safari to chase legendary pictures and you are a key asset! Would you like to drive? Perfect... We need you! But we also want to maximize our flexibility in terms of itinerary and schedule in order to take advantage of all the opportunities that will surely come our way. If we come across a herd of lionesses hunting or with a group of elephants, we’ll stop and take advantage of the occasion. This means that we’ll travel in 4x4 vehicles perfectly equipped with water, food, camping equipment and tents. Those of you who don’t sleep in the individual tents on the vehicles will do it with us, in tents planted at ground level (and you won’t have to pitch the tents if you do not feel like it, we’ll pitch them for you). Day 1. Saturday, September 1st - Welcome to Namibia! You land at Windhoek Airport, a modern city in the far reaches of the southern hemisphere. There, our trustworthy man awaits you. You can’t miss it: he’s wearing the yellow PhotoPills shirt. Once the luggage is loaded in the car, you’ll leave towards the capital. Your next destination is about 40 kilometers away. On this first night, we’ve decided to sleep at River Crossing Lodge. It’s a fantastic hotel inspired by the traditional farms of the old German settlers who occupied this land for the first time. And it has some amazing views! After getting our rooms we will explore the place in search of compositions and photographic opportunities for the golden hour, sunset (6:41pm), the blue hour... and the Milky Way (8:05pm). The African landscape, the colonial style houses, and the Windhoek skyline are very good starting points to let the imagination fly. It’s at this precise moment when you’ll realize that you are in a different world, far from home. You are in Africa. Quick snack because at 8:05 pm the Milky Way will be completely vertical in a southwest direction... And we won’t miss it! Take out your phone and use the Augmented Reality Night PhotoPills to find the best composition. While the arch of the Milky Way moves towards a cool position to capture a beautiful panoramic view, we’ll enjoy a pleasant dinner. Dinner is served at 9:00pm in the lodge's restaurant. It will be a great opportunity to get to know each other better, review the travel plan and imagine the exciting adventures that await us. The moment has come. It’s time to photograph the arch of the Milky Way for the first time in African lands. How about starting by photographing the Milky Way arching over the capital, Windhoek? It's time to go to bed... or not! You can always continue photographing the stars. The light of the Moon (the Moon rises at 01:04am) will help you illuminate the foreground by capturing, for example, photos of star trails. Farm of German settlers (black and white, Milky Way, Star Trails). Landscape photography and long exposure with filters at sunset. Panoramic of the arch of the Milky Way over Windhoek. First photos of the Namibian landscape. Arid land of low bush. I know you're tired from the long journey, we are too, but... You don’t want to miss the first sunrise in Africa, right? So if you decide to get up early and join us, we’ll take advantage of our first African sunrise. PhotoPills tells us that the blue hour starts at 6:37am, the golden hour at 6:46am, and the Sun comes out at 7:00am. Big breakfast, then we head to the capital, Windhoek. We have to stock up on provisions for breakfast and meals. For dinners, there are small restaurants in most camps where we’ll sleep. But we have to stock up well for the road. It will also be the time to buy some medication that could have forgotten, lip balm, sunscreen or liquid for contact lenses... this is your last chance to get it. Let’s go! We’re going to Erindi, which is about 4 hours north. We have a long journey ahead through endless dirt roads... Say goodbye to the asphalt. An assistant is travelling with us as well. He will help us with pitching the tents... among other things. Today we’ve had a meal thanks to our provisions in a beautiful spot we chose on the road. In the afternoon, we arrive at the Erindi Private Game Reserve, where many predators and antelopes roam on its 71,000 hectares. We’ll settle in our camp: Camp Elephant. Each camp has its own bathroom with a toilet, shower with solar heater and sink. It also has several kitchens and washing machine. You'll have all the amenities! We’ll park the cars, set up camp and go to discover the place. Don’t leave the premises, remember that you are in a wild place! Why don’t you approach the waterhole? It’s an outcrop of groundwater where animals take the opportunity to bathe and regain strength after a long day under the Sun. It’s a place full of photographic opportunities that you can enjoy during the sunset. The Sun sets at 6:45pm. Everyone can do it on its own. Ideally, we should all gather and cook something together. At 8:07pm we'll have a fantastic opportunity to capture the Milky Way. And it will be completely vertical! With hardly any time to waste, we'll board the open 4x4 vehicles of Erindi in search of giraffes, lions and elephants to photograph them with the Milky Way. Each time we find wildlife, and without getting off the vehicle, we’ll set up the tripod on the ground (outside the vehicle), prepare the camera and take pictures. We’ll play with very high ISOs to minimize the shutter speed. It’s a bit of a challenge! At this point you're probably wondering how long you've been here. Don’t worry about that. It’s only the second day and there are many more. Do you hear that? Well, yes, it's an elephant poking. Wildlife that we encounter on the way to Erindi. Wildlife at the Erindi waterhole. Golden hour and sunset in Erindi. Vertical Milky Way in Erindi. Milky Way arch with wildlife in Erindi (night safari in open vehicles). Star Trails at the Erindi waterhole. Photos of the sunrise in Erindi (optional). The blue hour starts at 6:38am, the golden hour at 6:47am. The Sun rises at 7:01am! Today, you have a planning class of the Milky Way and Star Trails using PhotoPills. We want you to return home mastering PhotoPills. The Milky Way post-processing class begins. It’s the perfect time to take out the laptops and process the photos of the Milky Way captured so far. Time to eat and rest. There is a bar about 20 km away. 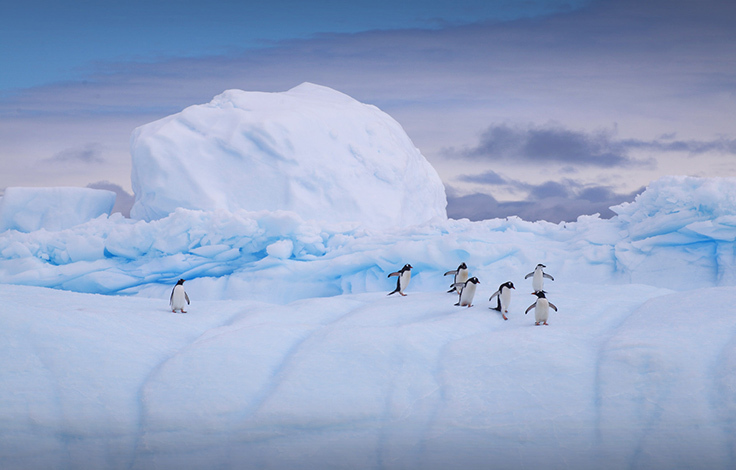 If you feel like it, we can organize an expedition to eat over there. In Erindi there is much more than the waterhole of Camp Elephant. So we’ll get on our vehicles and we’ll go on safari in search of animals during the best light of the day. Back to the camp, we'll park the vehicles and pitch the tents. At 8:07pm you have a new opportunity to photograph the Milky Way. Once again, it will be completely vertical. But this time we want it to be different... Let's try to photograph the Milky Way with a very old tribe: the Bushmen. Once again we’ll pursue our dream. We’ll board the open 4x4 vehicles of Erindi in search of giraffes, lions and elephants to photograph them with the arch of the Milky Way. Off to bed! In the morning another safari awaits you. Wildlife in the Erindi waterhole. Wildlife during the afternoon safari in Erindi. Vertical Milky Way in Erindi with the Bushmen. Star Trails in the Erindi waterhole. We’ll get up to get back to the 4x4 open vehicles of Erindi. We’ll track all kinds of animals to photograph them during the golden hour and at sunrise (7:00am). After a shower, we’ll dismantle the camp. And after a good breakfast, we’ll check the map and head towards the northeast. We are going to Etosha, one of the most spectacular national parks in Namibia and the African continent. We’ll have lunch along the way. Today we’ll sleep in Etosha. We arrive at Von Lindequist, one of the gateways to Etosha. And after arranging the papers with the rangers, we entered the national park... Astonishing. The Sun sets around 6:44pm, so we’ll use the rest of the afternoon to photograph the wonders of Etosha with the best light, during the golden hour, the blue hour and the sunset. After the long journey, we’ll go to Namutoni Campsite, a camp with all the comforts within Etosha! We’ll park our vehicles, pitch our tents, take out the tables and chairs... And after a nice shower, we’ll prepare a more than deserved dinner (what about a barbecue?) and we’ll go to bed soon. Tonight it's time to recover. In the camp there is a spectacular waterhole... It will be difficult to resist the temptation to photograph the wildlife it attracts along with our galaxy. Wildlife and sunrise during the safari with open vehicles in Erindi. African savannah and the opportunities that arise on the way to Etosha. Vertical Milky Way in Etosha (optional). 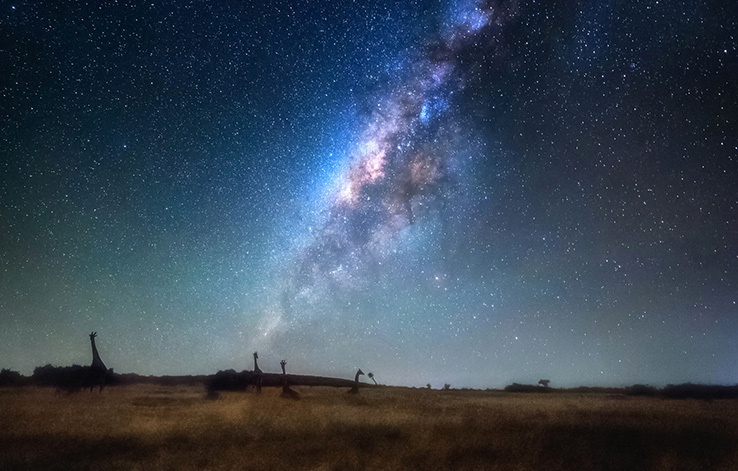 Arc of the Milky Way in Etosha (optional). And don’t forget to take pictures of our dinner under the stars. In its more than 22,000 km of incomparable landscapes, Etosha is home to 114 species of mammals, including four of the Big Five: lion, leopard, elephant and rhinoceros. It is also the habitat of more than 400 species of birds and 110 species of reptiles... Many reptiles! In addition to this, among its treasures are three species of antelope: the beautiful black-faced impala, the elegant roan antelope and the small Damara dik-dik, the smallest antelope in southern Africa, that is only 40 cm tall. We’ll get on our vehicles and we’ll drive in search of the Big Four of Etosha. We’ll capture the sunrise (sunrise is at 6:56am). At some point we'll stop for breakfast and then continue our safari through the Etosha savannah. Our expert guide will lead us to the most frequented waterholes. In the central part of the park, our eyes will be delighted with the white landscape by the salt crust of Etosha Pan, an ancient lake that was once fed by the waters of the Kunene River. The tectonic movements of the Earth's crust altered the course of the river condemning the Pan to become what it is today: a white desert full of animal life! By the way... In Etosha it’s out of question getting off the vehicle, it’s big cats’ territory. We’ll stop our expedition through the park to rest, cool off and have lunch in the middle of the savannah. But keep your eyes open in case something unexpected suddenly happens. We’ll continue crossing Etosha in search of all kinds of animals until sunset (6:45pm). Remember, today we also sleep inside the park, so we’ll take advantage of the moments of better light! Okaukuejo Campsite is our camp for today. It’s located in Etosha, about 17 km from the Anderson gate. You'll be tired today but you can only hear the wind, some animals through the canvas of the tent... And the noise of the camera of some PhotoPillers photographing the Milky Way. Tomorrow a great day awaits... we'll start a long journey to the Himba. Wildlife in Etosha. We’ll look for the Big Four in the savannah and the waterholes. The whiteness of Etosha's salt crust. Photos of the Milky Way and Star Trails in the Okaukuejo waterhole. Last sunrise in Etosha before continuing our adventure towards the northwest, towards Angola... in search of one of the most attractive tribes in the world: the Himba. It’s a community that lives in the Namib, both Namibian and Angolan, and that continues to cover their skin with a red mud that makes them unmistakable. These are strong and proud people that have developed a way of life according to their environment. The Sun rises at 7:01am. After a hearty breakfast, it's time to get in the car! Today we’re going to travel many kilometers to our next destination. But believe me, it’ll be worth it. We want to enjoy a more authentic experience with the Himba, fleeing tourist places. To achieve this we'll enter a spectacular territory (less known) until we reach the border with Angola. There we'll settle very close to the Epupa waterfalls (on the Kunene river)... which, despite not having much water at this time of year, is a spectacular place to photograph the sunset (the Sun sets at 7:01pm). Along the way we'll take advantage of the photographic opportunities that arise... And we'll stop to eat and cool off when we need it. We’ll settle in the Omarunga Campsite in Epupa, close to the Kunene River and next to the Epupa Falls. After a long day, we’ll make an effort to explore the area and look for our compositions for the sunset... and for later on, including the Milky Way. After a good dinner under the stars, it's time to rest. Tomorrow we'll visit the Himba. Photographic opportunities on the way to the Angolan border. Sunset and Milky Way in the Epupa waterfalls. Optional sunrise on the river Kunene. The Sun rises at 7:09am. We’ll spend the morning with the Himba, learning their customs and taking photographs. Although, besides that, we have a very important mission to take care of... Find among the members of the tribe some volunteer(s) who let us photograph them at night, under the stars. When we’re hungry, we’ll take a short break to have lunch and have some rest. Free afternoon to rest in the camp or to continue enjoying Epupa. There are many routes that can be done on foot. Or maybe you want to join an expedition in search of crocodiles... There are many options to have fun. The Sunset is at 7:01pm. It's time to look for our compositions. We must work in advance! Then, we'll have dinner slowly but surely... because the Milky Way doesn’t wait for anyone. The astronomical twilight ends at 8:13pm, just when the Milky Way is completely vertical. And at 11:30pm it will be perfectly located in the sky to capture a panoramic view. We have several hours ahead to enjoy a dark and starry sky. And if the negotiations have gone well in the morning... We’ll be together with our hosts, the Himba. Today we’ll sleep again at the Omarunga Campsite. Sunrise at the Epupa and Rio Kunene waterfalls. The Himba and their town. Sunset at the Epupa and Rio Kunene waterfalls. Milky Way and the Himba. After a refreshing shower and a more than deserved breakfast we head south towards Damaraland, a land full of mysteries and treasures (desert elephants, rock formations, rock art...). Today we have a long route to our next destination: Khowarib gorge. So we’ll stop to rest and eat when we need to then resume our route. Khowarib gorge offers multiple photo opportunities and our camp, the Khowarib Community Campsite, is in an unbeatable position to access it. While we’re crossing the territory, we’ll find a good location to capture the sunset... and for the night photography that will come afterwards. And when we start to feel tired, we’ll return to our camp for dinner, relax and rest. Milky way and Star Trails in Khowarib gorge. After breakfast we’ll head to the valley where Twyfelfontein is located, an archaeological site declared a World Heritage Site by UNESCO. Here you can see more than 2,000 figures of rock art and archaeological remains more than 3000 years old. But first, we’ll stop to photograph a very peculiar forest: a petrified forest. In fact, it is not a forest exactly. Rather it is an accumulation of petrified tree trunks... of more than 280 million years! Another attraction of Twyfelfontein is a rock formation known as Organ Pipes. These are structures formed 150 million years ago when liquid lava was introduced into a slate rock formation. They resemble the structure of tubes of a large organ, hence its name. These elephants are tough as a rock. They have learned to survive the harsh conditions of the desert, with very little water. This extreme situation has led them to develop unique conditions. They are thinner and taller than the rest of the African elephants. And they even have wider hooves. They are not easy to see, so we’ll be on safari tracking them with the help of our guide. We'll resume our journey, crossing Damaraland towards the terraces of Ugab, where a spectacular rock formation awaits us: the Vingerklip. Known as the "finger-shaped rock" or, as we call it, the "finger of the gods", the Vingerklip dominates the Ugab valley from the top of a hill thanks to its 35 meters high. Yes, I know... We all dream of making a panoramic view of the Milky Way over the rock... But patience because we’re not there yet. I can’t wait! Along the way, we’ll look for all the photographic opportunities that come our way. Remember that we are in Africa. At any moment something unexpected can happen so you have to be vigilant. Our camp, the Ugab Terrace Campsite, is only a 15-minute drive from the Vingerklip. There, we’ll stop to rest, cool off and eat something. I don’t know about you, but I plan to go to the bar (yes, this camp has a bar nearby) and enjoy a cold beer. Then I’ll take a good nap because even though we are in Africa, I’ll keep my old good habits. The Sun sets at 6:51pm. And there are many photo opportunities with the Vingerklip as the main subject. We’ll teach you how to use PhotoPills to find them. We’ll be in the right place and time to capture a spectacular photo of the sunset with the rock formation. And when the day goes out, we’ll have something to eat, rest and find a good spot to wait for the Milky Way. And we won’t stop taking pictures until after midnight. One of the most exciting moments will happen around 11:45pm, when the Milky Way forms a perfect arc on our subject, the Vingerklip. Can you imagine the photo? Today we'll sleep soundly. Happy with all the images we captured. Rock art, petrified forest and Organ Pipes. Vertical Milky Way, panoramic and star trails in the Vingerklip. Today we’ll get up early. We have tons of things to do. A good breakfast and then to the south... towards Spitzkoppe! Its 1,728m high make Spitzkoppe is one of the icons of Namibia. This rock formation is located in the desert of Namib, between the towns of Swakopmund and Usakos... And its form inspired its nickname: the Africa "Matterhorn". Spitzkoppe hides many secrets that we’ll discover just after a brief stop to rest in our camp, Spitzkoppe Rest Camp. We’ll rest, but not much. The Sun sets at 6:52pm just west of the spectacular rock formation... At that moment we’ll capture one of the most legendary moments of our Namibian adventure. As usual, we’ll eat something on the fly. Because when you love photography, you forget to eat. It happened to us in Iceland several times. I’m not joking! There is no time to waste... The dance of the Milky Way begins. First vertical, then diagonal and finally horizontal, to capture a beautiful panorama. Milky way in Spitzkoppe (and its secrets). At 7:00am the Sun rises just east of Spitzkoppe (the blue hour starts at 6:37am). The direction of the golden light of dawn will bathe laterally the rock formation bringing out all its volume and beauty. And after so much drought and arid landscapes, we reach the coast. We’ll go in our cars until we come across Swakopmund, one of the most important fishing grounds in the world. And there is a reason for this. This side of the Atlantic are bathed by the Antarctic current. Here the waters are very cold and are loaded with krill and micro plankton that attract all kinds of fish and cetaceans. On this coast has also one of the largest colonies of sea lions in the world. We’ll enter Swakopmund, which resembles a Bavarian city. It’s weird to leave a primitive desert and enter what looks like a European, colonial city to enjoy a frankfurter sausage with sauerkraut and a giant beer... All in German fashion. We’ll stroll around its streets for a while. Afterwards, we'll settle in our bungalows in Swakopmund. At last we’ll have a room with all the comforts! After a while resting, we’ll head to the Cape Cross Seal Reserve, where a colony of more than 210,000 sea lions live. Awesome! On the way to the reserve, we’ll stop for a moment to locate the remains of a shipwreck. And we’ll look for the best compositions to capture it with the stars. Then, we’ll continue our trip to meet the sea lions. We’ll enjoy them until sunset (6:57pm). Brief stop on the way to photograph the shipwreck with the vertical Milky Way. Then, to the hotel where dinner awaits us. I’m so hungry! Sea lions and sunset at Cape Cross Seal Reserve. Milky Way with the remains of a shipwreck. I’ve been giving you many details of this crazy expedition to Namibia. But on September 12th we’ll do something completely different. So different and fun that we’ve decided to keep it secret. After cooling off on the coast, we head to Sossusvlei, the Namib-Naukluft National Park, the field with the highest dunes in the world. These are red dunes of oxidized iron, covered with small vegetation that hydrates with the Atlantic breezes and that gives a touch of color a little ocher, red and blue. We’ll see the famous deadvleis, those areas between dunes with petrified trees and white salty soils. The dream for any photographer. But we'll also stop to photograph one of the most spectacular plants on the planet. The Welwitschia mirabilis, an endemic specimen of the Namib desert. Believe it or not, these plants can live up to 2000 years! We’ll enter the Sossusvlei park and stop at our camp, Sesriem Campsite. It has a restaurant where we can eat and cool off with a cold beer. We are in Deadvlei, face to face with the mysterious petrified trees, looking for our compositions... And waiting for the golden hour to come (6:21pm). An afternoon full of emotions awaits us. We get to our camp. We have dinner and prepare to photograph the Milky Way with the beautiful dunes of Sossusvlei. Welwitschia mirabilis, the endemic plant of the Namib desert. The sign of the Tropic of Capricorn (time to act like a tourist). Sossusvlei and its sea of dunes. Sunset in Deadvlei and the petrified trees. Milky Way with the dunes of Sossusvlei. Today we’ll spend all day exploring Sossusvlei... From sunrise to sunset! The Sun rises at 6:58am and sets at 6:51pm... This will be a long and very entertaining day. It’s fine! We’re in Namibia. We'll rest when we return back home. After enjoying dinner in our camp, we’ll continue to take photos. The desert, the dunes and our galaxy. Sunrise, sunset and Milky Way. After sleeping soundly and a hearty breakfast, we continue our route. This time, we head east, through the Namibian Kalahari. In this area of the Kalahari we’ll have one last chance to photograph something that we missed, cheetahs, brown zebras, red dunes maybe... Or, something new. We’ll settle in the Bagatelle Campsite, a camp in the heart of the desert but with all the comforts. Here we can see how they feed the cheetahs. An amazing show. Today it's time to relax, edit photos and enjoy a bit of tranquility. Unfortunately, the trip is coming to an end. But before the farewell, we want to invite you to dinner in the middle of the desert, under the stars. We’ll go to a remote location in the desert, where they’ll be waiting for us with the table set. It's not a restaurant, but we won’t have to cook either. We’ll be amazed by the local chef. It will be our last dinner in Namibia... And we’ll remember it for the rest of our lives. Breakfast and we go to Windhoek. The camp is about 4 hours from the airport, so it is important to fly in the afternoon so you don’t have to get up early. Or better yet, fly on Monday. To book your spot to join the expedition to Namibia at a reduced price of €4,500 (the official price is €5,000), a €1,000 deposit is required by Sunday, February 25th. Payment in full is required by May, 30th 2018. Pick up at Windhoek airport and transfer to the hotel. Transfer to Windhoek airport at the end of the adventure. 16 days of learning, fun and adventure with the funniest geek community: PhotoPillers. Immersion in the PhotoPills method (Imagine.Plan.Shoot.). Local guide and local assistant. Rental of 4 4x4 vehicles equipped with all the camping gear. 8 tents for individual use pitched on the roof of the vehicles (2 tents per car). And 2 spacious double tents pitched on the floor for shared use. Both our guide and we, the PhotoPills team, will sleep in the shared tents planted on the ground. Night photographic safari with open vehicles in Erindi (2 nights). Photographic safari sunrise with open vehicles in Erindi. Photographic safari with our vehicles in Erindi. Tickets to Etosha National Park. Excursion to visit the Himbas. Entrance to the Cape Cross Seal Reserve. Entrance to the Namib-Naukluft Park (Sossusvlei). Entrance to visit cheetah feeding in Kalahari. Surprise activities on September 12th. Lodging in double rooms, dinner and breakfast at River Crossing Lodge. Camping in Camp Elephant, Erindi (2 nights). Camping in Omarunga Campsite Epupa (2 nights). Camping in Khowarib Community Campsite. Camping in Ugab Terrace Campsite. Camping in Spitkoppe Rest Camp. Accommodation in Swakopmund bungalows, in double rooms (2 nights). Camping in Sersiem Campe Site (2 nights). Camping in Bagatelle Camp Site. Farewell dinner in the Kalahari desert. All meals and beverages, except those expressly indicated in "What’s included in the price". Those who wish may join our common fund to buy food and water. Most camps have a restaurant where everyone can have whatever they want at any time. Everything not included in the “What’s included in the price” section. 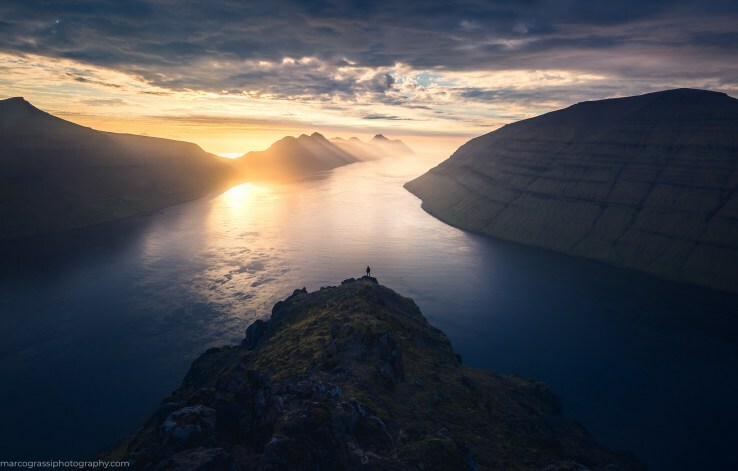 This is a glimpse to what happened in the PhotoPills Expedition to Iceland... But we had so many adventures and so much fun... We can’t wait for Namibia! What’s the temperature in Namibia in September? September is a very nice month. It’s dry and the skies are clear. It’s not too hot nor too cold. It cools down at night. Temperature varies depending on the area but you should expect the range to be between 50ºF (10ºC) and 86ºF (30ºC). It’s key to wear in layers to be able to adapt to any temperature change. Vaccinations depend on where you’re traveling from and on your personal health. Please, check it with your doctor. Besides that? When you book your seat, we’ll send you a Information Package that will give you further details and suggestions about what to bring (gear, clothing, etc). If you cancel and the expedition to Namibia is otherwise filled, we'll refund you the full booking fee you have paid, minus a €300 administrative fee. 60-90 days before the expedition: 50% refund, minus a €300 administrative fee. Credits: Cover image by Mark Gee. Rest of the images by Donal Boyd and Heiner Dillmann (heiner@dillmann.com.na).